Located within the Waitangi National Trust Reserve, just a stroll away from the Treaty House, scenic Waitangi golf course and 2km from the Paihia Town Centre is the Copthorne Hotel and Resort Bay of Islands. Immerse yourself in the heart of New Zealand’s history and culture, a place where past and present entwine.The intimate nature of the hotel belies its size and compliments the ‘plantation’ theme of the surrounding landscape. Commanding a superb waterfront location offereing uninterrupted bay views, the hotel is surrounded by 60 acres of subtropical gardens and is part of the historic Waitangi Treaty Grounds. 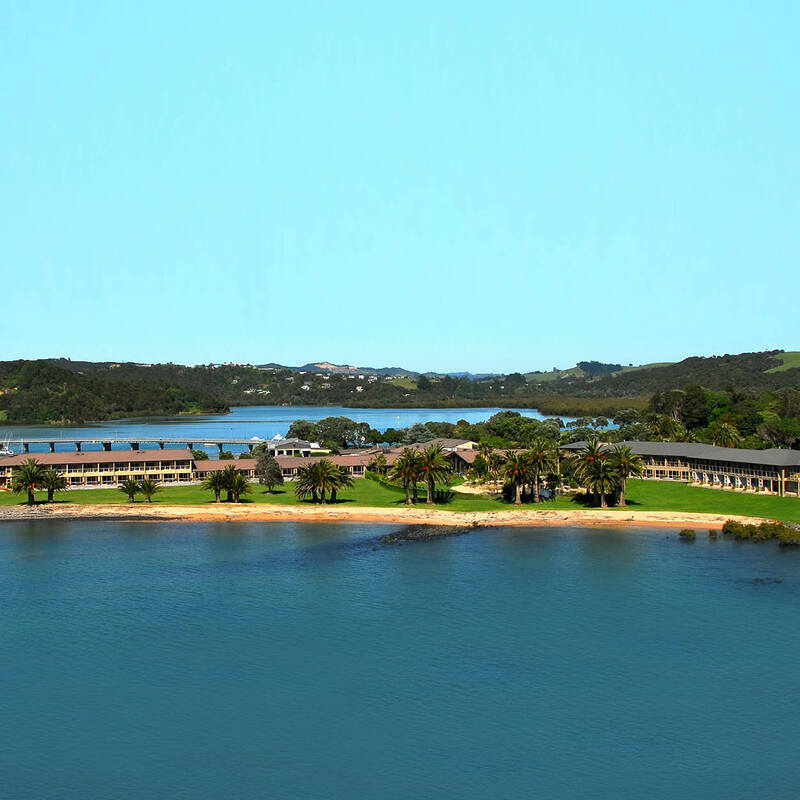 Copthorne Hotel and Resort Bay of Islands is endorsed with a Qualmark 4 star and an Envio Silver rating.